If you think you have an addiction problem, or are concerned about a loved one, please contact us to discuss your circumstances or your loved one’s needs. Our recovery programme addresses issues around addiction which include, drug and alcohol, gambling, social media, stress, anxiety, depression, anger and low self esteem. "We identify the root cause of the addiction issues and the long term solution". All calls are in complete confidence and we're available 24/7 for advice and support. Call us on 01926 811702 or alternatively e-mail us using our Contact Us form. We also offer a free confidential addiction health review, with no obligation. • There were good systems in place to keep clients safe during detoxification and recovery. Staff were skilled at observing, monitoring, recording and being alert to the health and well-being of clients. • The environment was safe and therapeutic. The service used new technology to support safe unobtrusive monitoring of clients undertaking detoxification. • The service was effective in ensuring recovery, both during and after a client’s admission. A major part of this was involving clients in frequent activities and therapies, both inside the service and out in the wider community. It helped to build clients’ resilience by involving families and carers and supporting them to develop new networks. • All staff worked together well, were open and transparent and communicated effectively. • The service was well-led by an experienced and ‘hands on’ management team, always available to advise and support. 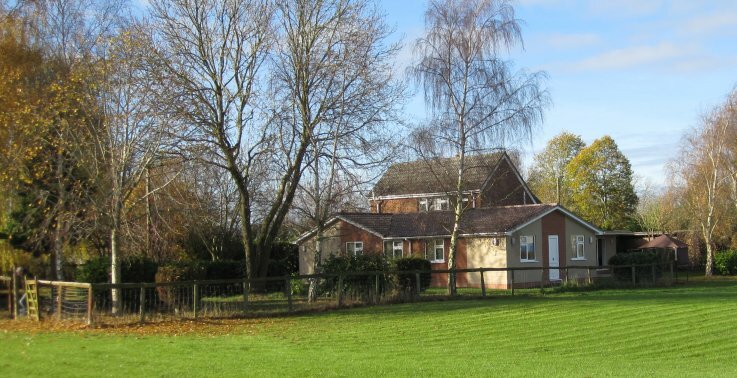 Our treatment centre is a fully residential CQC inspected and rated peer led detox and rehab facility for people over the age of 18 whose lives have been adversely affected by alcohol, drugs and other addictions. The property is a smallholding set in 4 acres of grounds located in the beautiful Warwickshire countryside in the Heart of England, away from everyday distractions providing a safe and supportive setting. The property has recently been extended and fully refurbished. Residents eat, sleep and undertake all the core activities of the programme either at the house or within the grounds. Meals are freshly prepared and cooked on site by our dedicated catering staff. The location is supported onsite 24/7. The rooms are all single, except for one twin room which gives the opportunity for residents to receive additional support if required at the beginning of their stay. 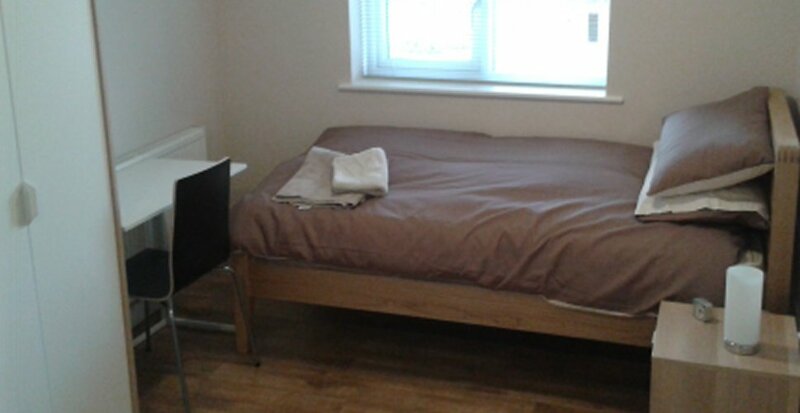 The accommodation is currently male only. The facility was purposely established as a small recovery community with treatment and accommodation in the same location. The accommodation is for a maximum of eleven residents which ensures we provide the best possible support with the right amount of personal dedicated time from our experienced staff. The centre is operated and managed by professional staff who have all had their own personal experience of addiction and more importantly sustained recovery. We recognise that addiction is influenced by people’s life experiences and the treatment we offer is personalised to accommodate each individual's circumstances and needs. Our program has been specifically designed to support and encourage residents to participate in a range of psychosocial and educational sessions to meet their needs. "Everyone at ESH Community has found their own peace and contentment as part of their journey of recovery. We have the experience and knowledge to support and guide you to find freedom and peace in your life." Darren's Story... "Before coming to ESH I’d been in active addiction for over 20 years and had reached a point in my life where I felt mentally/emotionally broken and spiritually empty..."
Andrew's Story... "I was spiritually, mentally and physically broken. I was at the jumping off point, I could not live with alcohol or without it..."
Simon's thanks... "ESH came into my life at the point of no return; I had attempted to end my life; a victim of alcohol addiction..."
Stuart's thankyou... "All of the ESH Community staff actually care very deeply about us but it’s their humanity, love and support that make ESH a family..."
Dan's thanks... "The decision to come to ESH Community was one of the hardest, most worthwhile decisions I have made in my life..."
Resident's thanks... "ESH staff truly put their heart and soul into their work and it has made a huge difference in my life I can’t thank the ESH staff enough, it’s a debt I that I will not be able to repay..."
David's story... "I awoke in an ambulance completely dazed and confused..."
Tom's story... "The second I stepped through the door, an unfathomable calm came over me...."
Kevin's story... "When I dropped my bags into my room at ESH I was broken, lifeless and angry..."
Jamie's story... "Basically I owe ESH my life and that’s the truth. I would be dead now if it wasn’t for them..."
As a not for profit organisation we can offer fully residential placements at affordable prices. We may also be able to offer some part funded placements depending on personal circumstances and bed availability. You can call us on 01926 811702 for a confidential chat and to see if we can help with the funding. "Effective - There were daily observations and recording, particularly overnight. These were detailed and of very good quality; times and places were noted, as were all indications of treatment progressing well or needing to be adjusted. " "What makes ESH special is the people who run it, the staff, the volunteers and also the residents past and present." "The frequent text messages keeping us in touch reassured us he was in the right place and responding to the service." ESH Works was built from a dream of peer-based recovery. Paul Urmston shares their story.